Welcome to the Hayhouse.co.uk Web site, this site is owned and operated by Hay House UK. User acknowledges that the Hayhouse.co.uk Web site contains Content that are protected by copyrights, trademarks, trade secrets, or other proprietary rights, and that these rights are valid and protected in all forms, media and technologies existing now or hereinafter developed. 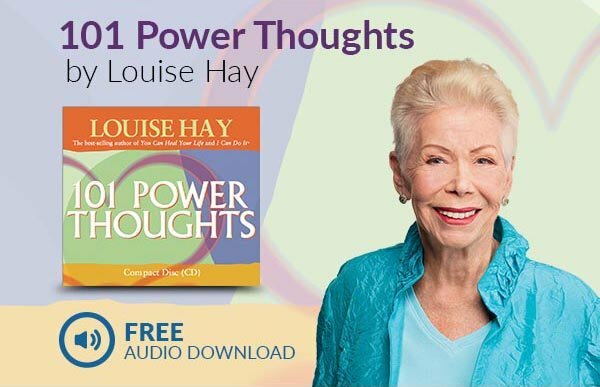 All Content is copyrighted as a collective work under international copyright law, and Hayhouse.co.uk owns a copyright in the selection, coordination, arrangement, and enhancement of such Content. User may not modify, remove, delete, augment, add to, publish, transmit, participate in the transfer or sale of, create derivative works from, or in any way exploit any of the Content, in whole or in part. If no specific restrictions are displayed, Users may make copies of select portions of the Content, provided that the copies are made only for User's personal use and that User maintains any notices contained in the Content, such as all copyright notices, trademark legends, or other proprietary rights notices. Except as provided in the preceding sentence or as permitted by the fair use privilege under international copy law. User may not upload, post, reproduce, or distribute in any way Content protected by copyright, or other proprietary right, without obtaining permission of the owner of the copyright or other propriety right. In addition to the foregoing, use of any software Content shall be by the software license agreement accompanying such software. The Hay House logo is a copyright of Hay House, Inc. Third parties may not use the Hay House logo unless given specific permission from Hay House. In some instances, the Content available through the Hayhouse.co.uk Web site represents the opinions and judgments of the respective third party providing such Content. Hayhouse.co.uk neither endorses nor is responsible for the accuracy or reliability of any opinion, advice, or statement made on the Hayhouse.co.uk Web site by anyone other than Hayhouse.co.uk. Under no circumstances shall Hayhouse.co.uk, or its affiliates, or any of their officers, directors, employees, or agents be liable for any loss, damage or harm caused by a User's reliance on information obtained through the Hayhouse.co.uk Web site. It is the responsibility of User to evaluate the information, opinion, advice, or other Content available through the Hayhouse.co.uk Web site. Hayhouse.co.uk may suspend or terminate any User's access to all or any part of the Hayhouse.co.uk Web site including any account thereon, without notice, for any reason in Hayhouse.co.uk's sole discretion. THE HAYHOUSE.CO.UK WEB SITE IS PROVIDED BY HAY HOUSE UK ON AN "AS IS" AND "AS AVAILABLE" BASIS. TO THE FULLEST EXTENT PERMISSIBLE BY APPLICABLE LAW, HAY HOUSE UK DISCLAIMS ALL IMPLIED WARRANTIES. WITHOUT LIMITING THE FOREGOING, HAY HOUSE UK MAKES NO REPRESENTATION OR WARRANTY OF ANY KIND, EXPRESS OR IMPLIED: (I) AS TO THE OPERATION OF THE HAYHOUSE.CO.UK WEB SITE, OR THE INFORMATION, CONTENT, MATERIALS OR PRODUCTS INCLUDED THEREON; (II) THAT THE HAYHOUSE.CO.UK WEB SITE WILL BE UNINTERRUPTED OR ERROR-FREE; (III) AS TO THE ACCURACY, RELIABILITY, OR CURRENCY OF ANY INFORMATION, CONTENT, SERVICE, OR MERCHANDISE PROVIDED THROUGH THE HAYHOUSE.CO.UK WEB SITE; OR (IV) THAT THE HAYHOUSE.CO.UK WEB SITE, ITS SERVERS, OR E-MAIL SENT FROM OR ON BEHALF OF HAYHOUSE.CO.UK ARE FREE OF VIRUSES OR OTHER HARMFUL COMPONENTS. HAY HOUSE UK DOES NOT GUARANTEE THE CONTINUOUS, UNINTERRUPTED OR SECURE ACCESS TO THE HAYHOUSE.CO.UK WEB SITE OR ANY RELATED SERVICES. THE OPERATION OF THE HAYHOUSE.CO.UK WEB SITE MAY BE INTERFERED WITH BY NUMEROUS FACTORS OUTSIDE THE CONTROL OF HAY HOUSE UK. UNDER NO CIRCUMSTANCES SHALL HAY HOUSE UK BE LIABLE FOR ANY DAMAGES THAT RESULT FROM THE USE OF OR INABILITY TO USE THE HAYHOUSE.CO.UK WEB SITE, INCLUDING BUT NOT LIMITED TO RELIANCE BY A USER ON ANY INFORMATION OBTAINED FROM THE HAYHOUSE.CO.UK WEB SITE OR THAT RESULT FROM MISTAKES, OMISSIONS, INTERRUPTIONS, DELETION OF FILES OR EMAIL, ERRORS, DEFECTS, VIRUSES, DELAYS IN OPERATION OR TRANSMISSION, OR ANY FAILURE OF PERFORMANCE, WHETHER OR NOT RESULTING FROM ACTS OF GOD, COMMUNICATIONS FAILURE, THEFT, DESTRUCTION, OR UNAUTHORIZED ACCESS TO HAYHOUSE.CO.UK'S RECORDS, PROGRAMS, OR SERVICES. USER HEREBY ACKNOWLEDGES THAT THIS PARAGRAPH SHALL APPLY TO ALL CONTENT, MERCHANDISE, AND SERVICES AVAILABLE THROUGH THE HAYHOUSE.CO.UK WEB SITE. Hay House UK Limited is registered for VAT purposes within the UK, and under MOSS, and the appropriate local VAT rate is included within the prices shown.